This is the only course of its kind to bring you one video for each sutra, giving you a full year’s worth of clear, accessible and actionable insight. Discover the sacred mystery and meaning of ancient yogic wisdom...eloquently translated in clear, modern language to enrich, inspire and empower your practice and your life. Probably the most famous of all sutra texts, the Yoga Sutra influenced the development of yoga philosophy and meditation for 1000 years, and in the 20th century underwent a major revival that is still underway. Today it is assigned in countless yoga teacher trainings around the world, despite the fact that there is no crystal clear and fully actionable translation of this esoteric yogic scripture. Here we present our flagship course with teacher Christopher Wallis, PhD, who brings 18 years of study of the text, 26 years of practice and his unique voice to this famous but little-understood text. Christopher Wallis is a gifted scholar-practitioner. His course skillfully unpacks one of the key texts of yogic wisdom, and does so with thoroughness, insight and depth. Perhaps you found it boring and impenetrable and wondered why yoga teachers were supposed to know it. Or perhaps you found it fascinating, yet still mysterious and at times confusing. For the man who wrote the Yoga-sutra, and for hundreds of thousands of yogis who came after him, its teachings were not inaccessible or impractical, but quite the opposite. They documented the actionable techniques and practices that brought about true freedom and heightened awareness. What was the real lived experience that gave rise to the teachings of the Yoga-sutra? Why did Patañjali write this text? What did he intend us to understand and experience? How can the Yoga-sutra be a road map for spiritual life on a daily basis? What practices from the Yoga-sutra can be implemented starting now, with measurable benefits? Each video is between 4 and 14 mins long (occasionally there are two sutras in a video). Each cluster of interrelated sutras is presented as a module, and each module has its own study guide (in .pdf form). For example, in Chapter One of the Yoga-sutra, there are 51 sutras which we have organized into nine modules. The entire course is self-paced and you have lifetime access to the material. This is a yoga philosophy course for the 21st century -- there is no dogmatic kow-towing to Patañjali or his ideas. Instead we seek to respectfully interrogate those ideas, and are willing to throw out any that prove themselves inapplicable to contemporary values. You move through the videos at your own pace, supported by the study guides. We recommend studying no more than two or three videos per week for maximum absorption (ideally, each video should be seen several times). At that rate, it would take you about a year to complete the full course. You can of course take as long as you like. One video for each sutra -- the course will explore at least 123 of Patañjali's 196 sutras. These videos give you an insight to the knowledge of the scholarly community, made accessible to the practitioner in plain english! When the meaning of a given sutra is not agreed upon by the scholarly community, that will be made clear. Hareesh also adds insights of his own that are doubtless duplicated by other scholar-practitioners but have not yet seen the light of day. Hareesh brings a very heartfelt devotion to the spiritual path to these videos, which keeps them from ever being dry and boring. was Patañjali originally a Buddhist? was the text authored by one person, or more? how do we understand the apparent obsession with supernatural powers in chapter three? Dr. Christopher Wallis (Hareesh) has four (yes, four...) university degrees in the related areas of Religion and Classics, Indian Philosophy, and Sanskrit. For many years, he was a devout Hindu as well as a yogi, until a series of awakenings led him to becoming less religious, less dogmatic, more open, and more pragmatic. All the support you need to finally understand this famous but little-understood spiritual masterpiece. 123 videos - Over 20 hours of content + Study Guides + Bonus Content + Access to the community and discussion forum. You can pay in one lump sum or spread payments over 3 / 6 months. Personal meditation and mindfulness practices based on the text (3 hours, $520 value). These will take place on skype / facetime. You can pay once or over 3 months. Yoga is the state in which the churning fluctuations of thought and emotion have come to rest, and we abide in what we fundamentally are — awareness. We recommend watching between two to three videos per week to allow time for integration — at that rhythm, it will take around a year to complete the entire course. The Recognition Sutras is available now! We plan to roll out the following texts over time: the Shiva-sutra, Lotus Sutra, Heart Sutra, Mama Sutras, and more! What makes this different from the other course on the Yoga Sutras out there? This is the only YS course presented by a native English speaker fluent in Sanskrit, and the only course that devotes one video to each sutra, explaining not only the translation of that sutra but also how it relates to the overall project of the text. It is the only course that draws on the traditional Sanskrit commentaries, especially the commentary now thought to be written by Patañjali himself (previously attributed to Vyāsa). It is the only course to provide crystal clear and actionable guidance on how to do all the practices taught in the YS. Why did you choose to do a course on the Yoga Sutras when there are already so many courses on this text? Why not choose a lesser known one? Hareesh decided that none of the existing translations are satisfactory or wholly adequate for the practitioner community, and spoke to other Sanskrit scholars who thought the same. We decided that beginning The Sutra Project with the best-known sutra text would provide a strong foundation for future courses on lesser known sutra texts, like the Shiva Sutra and Pashupata Sutra. We are so sure that you will find this the clearest explanation of the sutras you’ve ever heard, we offer a money-back guarantee if you complete the whole course and don’t believe it was well worth the investment. (Note: Hareesh says that though there are a couple of translations that are as clear as his — such as those of Barbara Stoler Miller and Chip Hartranft — he is providing much more thorough explanations than those books do.) Since so much work has gone into this program, we do not offer refunds unless you have completed the course and have not gained benefit from the teachings. If this is the case, please do contact us directly by filling out the form below. Yes. The Study Guides present exercises and contemplation questions, and there will occasionally be mp3 audio files of guided meditations, for example for Sutra 17, on the four stages of samaadhi. Yes. Hareesh is creating a fresh and accessible translation for the 21st century, one rigorously faithful to the original Sanskrit yet highly readable. 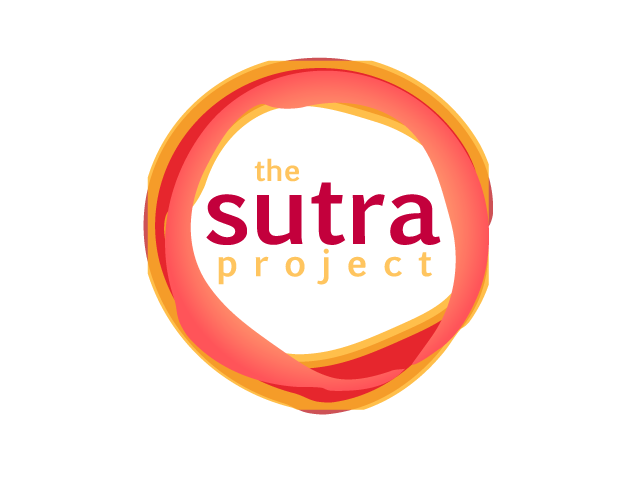 Disclaimer: By registering for "The Sutra Project // Yoga Sutra Illuminated" I accept that all the information contained are for educational purposes and do not guarantee results. “Previously, when I have read one of the many translations of the Yoga Sutras, I come away feeling like I’ve been handed a box of puzzle pieces without the lid showing the finished result. It feels like Hareesh is showing me how the puzzle is going to look and hinting at which pieces fit where in an immediately applicable way.